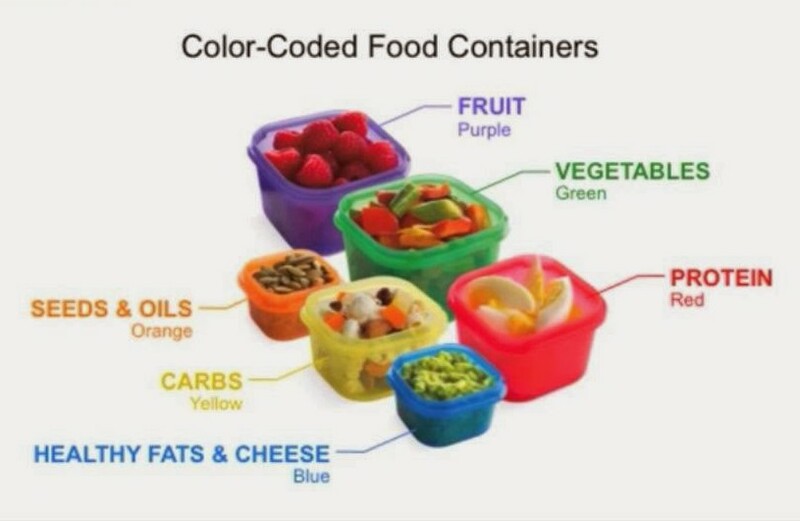 NOTE: This is the shopping list for the original 21 Day Fix program. 21 Day Fix EXTREME comes with a more dialed in shopping list, as well as a “Countdown to Competition” nutrition guide, for those who are interested in taking their fitness and nutrition even one step further. Find out more HERE. 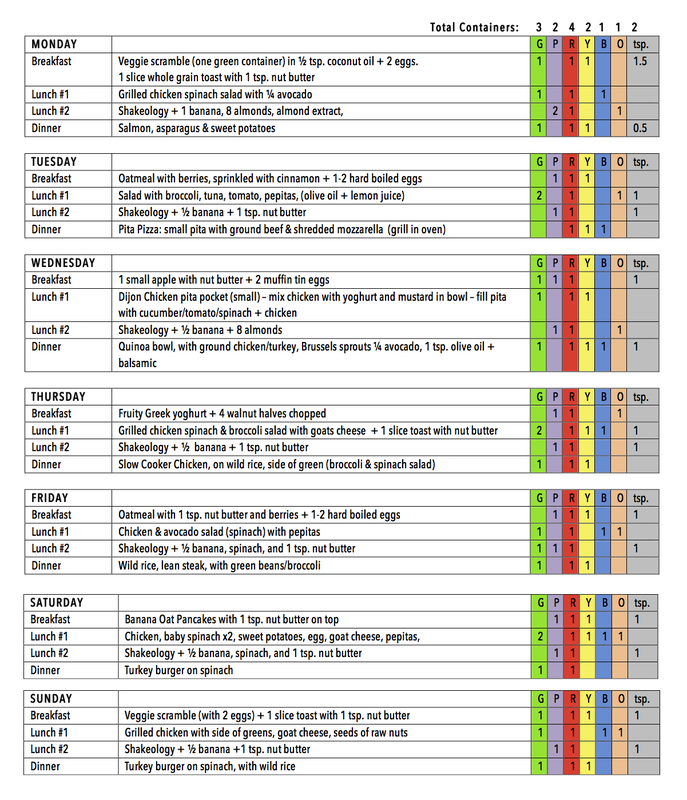 Below is a sample meal plan, feel free to adjust it to suit you. If there is something you don’t like, substitute it with something you enjoy. For example, it’s ok to substitute shrimp or chicken for salmon, and rice for pasta or yams, and 10 almonds for ¼ avocado. Get creative, but keep your portion sizes in mind! I have found that 4 decent sized meals a day works best for me – keeping me full and satiated throughout the day – however, I only eat my breakfast around 10:00am, so this might not work as well for you. I am a firm believer in the fact that we are all different, and we each need to find what works best for us. I will be more than happy to work with you and help you find what works best for you, just send me a message or request to have me as your FREE coach here. Meal Plan Sample: If you have any questions don’t hesitate to ask! Shoot me an email, or find me on Facebook. I look forward to helping you get started, staying motivated, and reaching your goals!